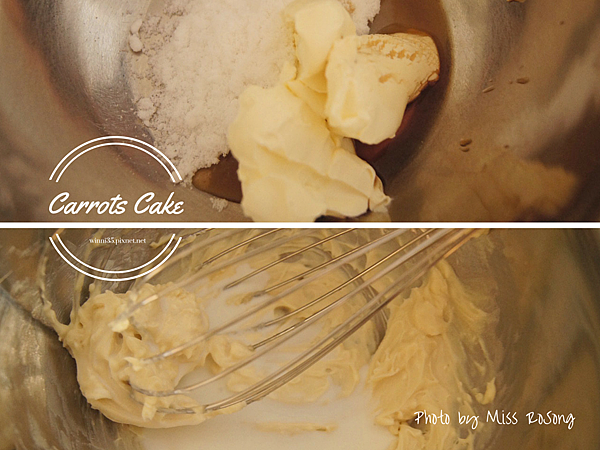 Preheat oven to 180℃, grease the baking pan with some canola oil. 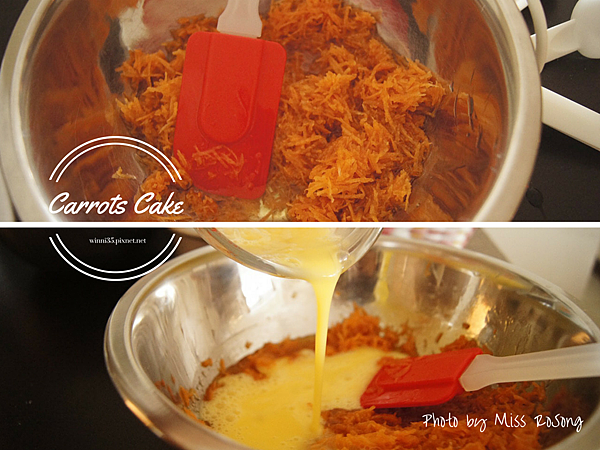 Combine the grated carrots and oil in a bowl, pour in the beaten eggs and mix together. 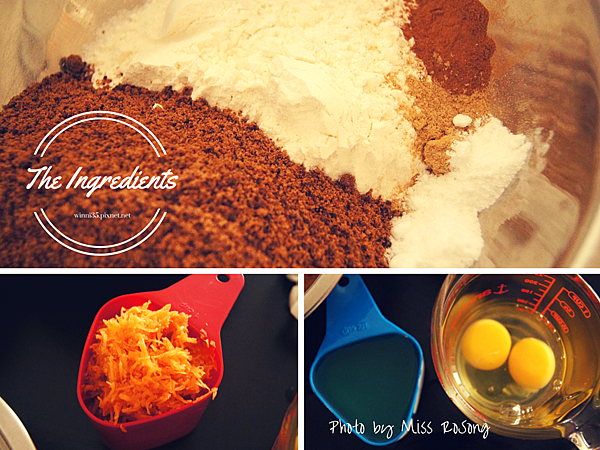 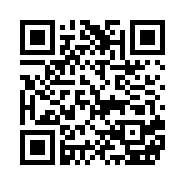 Mix the flour, sugar, cinnamon, ginger powder, baking powder and baking soda in another bowl. 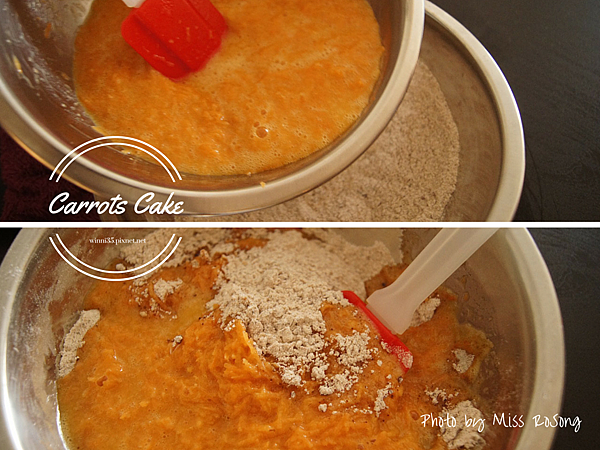 Pour the wet ingredients in the dry ingredients and stir until combine. 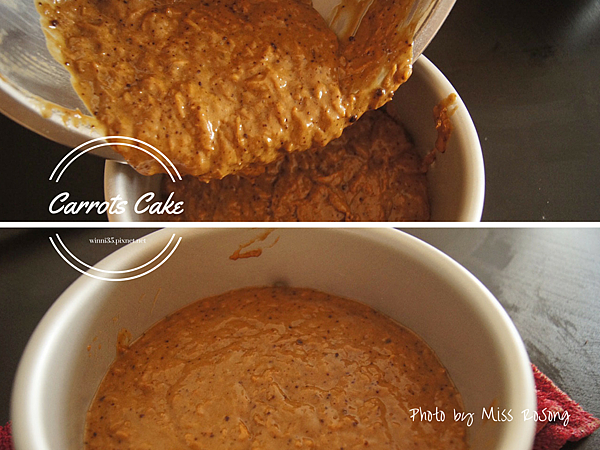 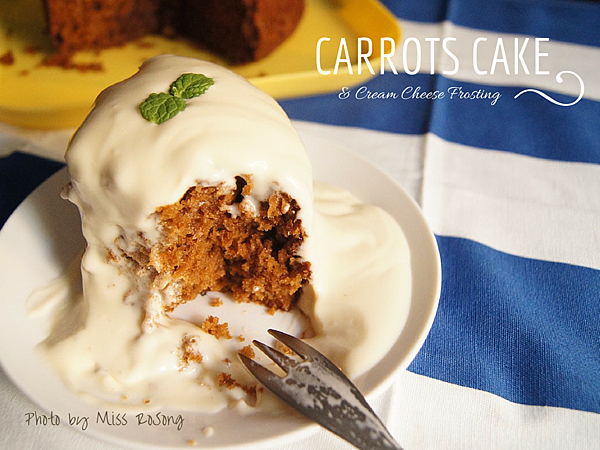 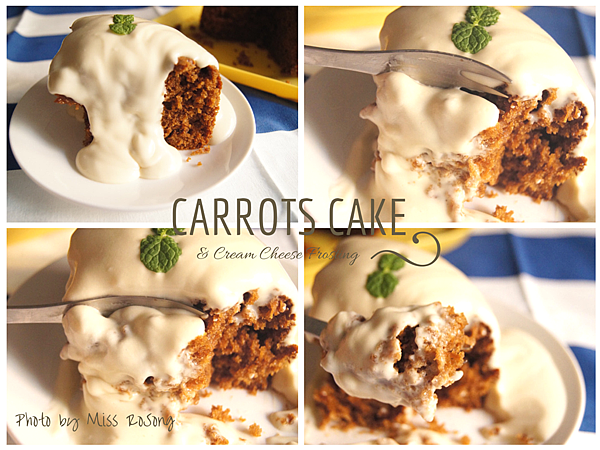 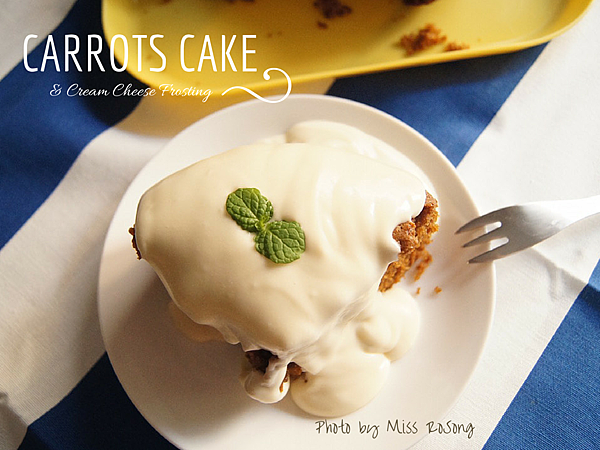 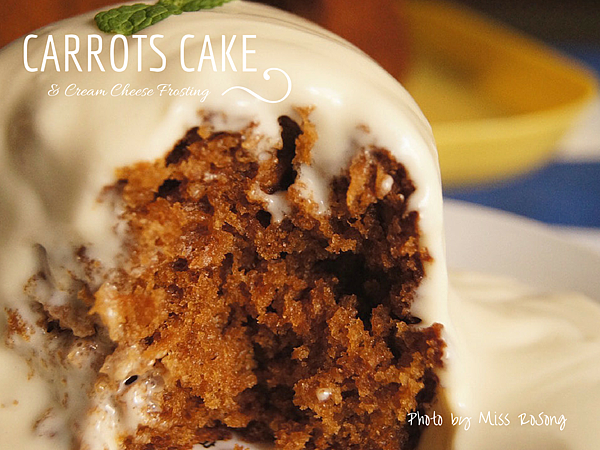 Whisk the cream cheese frosting ingredients together and pour on the carrots when the cake reaches the room temperature.